It’s long been known that smoking around children is a big no-no that flies in the face of established parenting advice. Now, new research from Korea takes that guidance one step further and warns fathers-to-be of the risks of smoking in the vicinity of their pregnant wife. As part of a study undertaken at the National Cancer Center in Goyang, 63 families – comprising a father, mother and unborn child – were followed over two years. Researchers identified the level of nicotine present in the infant’s hair following birth. The results were clear: nicotine levels in the children of those fathers who lit up indoors were significantly higher than those whose dads either took the habit outside or didn’t smoke at all. 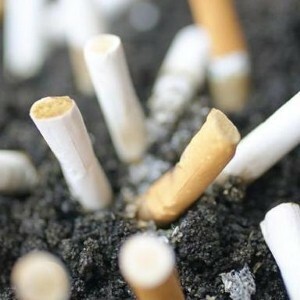 "Our findings indicate that paternal smoking inside the home leads to significant fetal and maternal exposure to environmental tobacco smoke," the team wrote in the American Journal of Epidemiology, according to Reuters. "We also found that paternal smoking outside the home helpfully reduces levels of environmental tobacco smoke to which the smoker’s wife and her fetus are exposed." One in five U.S. adults currently smokes, with nearly 450,000 premature deaths each year related to tobacco use, according to government figures.